My Little Friend the Chipmunk | Just Shooting Memories! I am usually not a snap shot type person. I try to make sure the composition, exposure and framing are all the way I want. However, I found this little guy on top of a mountain in Oregon. I set the tripod up and was taking a few shots when, up popped it’s little head. It is rare to find something that was this friendly in the East. I think there is an in grown distrust of humans in the Eastern U.S. which I wonder if it is there at least in the mountains of Oregon. So, this little bugger was just about five feet from me when I took this photo. It was not a bad day taking photos of Mount Hood. 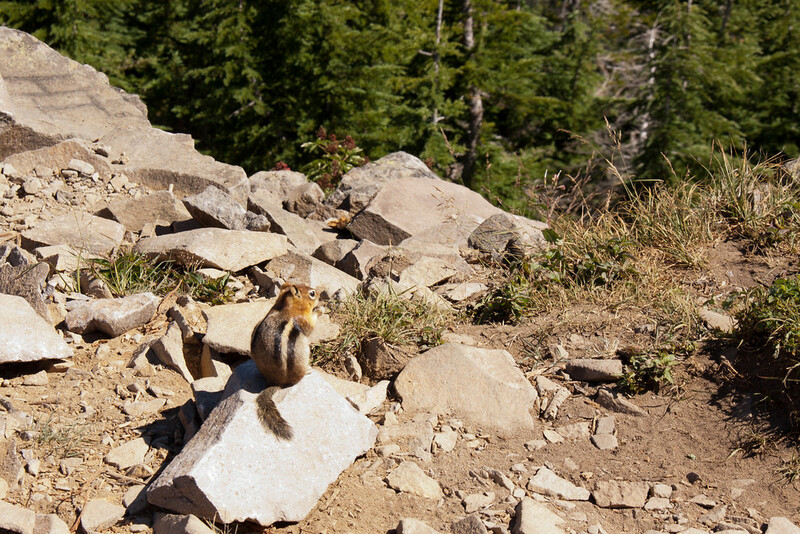 Just me, the Chipmunk and a camera.